It wouldn’t be a gaming convention without all those awesome and geeky merchandise right? 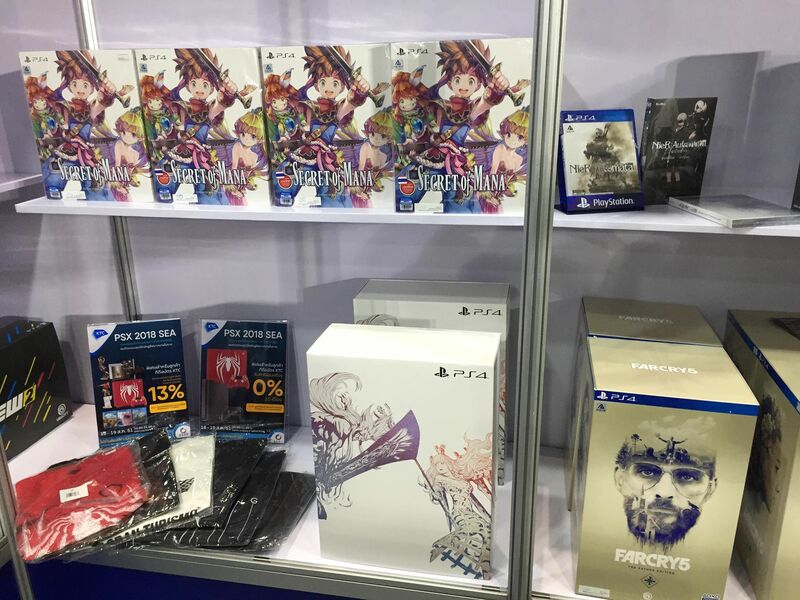 And to remind you, this is definitely not your ordinary gaming convention, my friends this is PSX 2018 and true to our nerd form, right after the floodgates were opened for the media, one of the first stops I did was of visiting the merchandising area. And it did not disappoint! As with most events, the merchandise area is usually the first to get filled with long lines, and for good reason, because there was so much to see and buy! For a quick overview, here’s a copy of the brochure from the event. SO. MANY. GAMES! If you missed out on collectors editions of your favorite games like Secret of Mana and FarCry5, you’re in luck as you can purchase some of it here! You can also snag some good deals as well on PSVR and PS4 Pro packages, you can even pre-order the Spiderman Limited Edition PS4 Pro as well! ALSO, we got our first glimpse of the 500 Million Limited Edition PS4 Pro in the flesh! This thing looks gorgeous in person and pictures do not really give it justice. 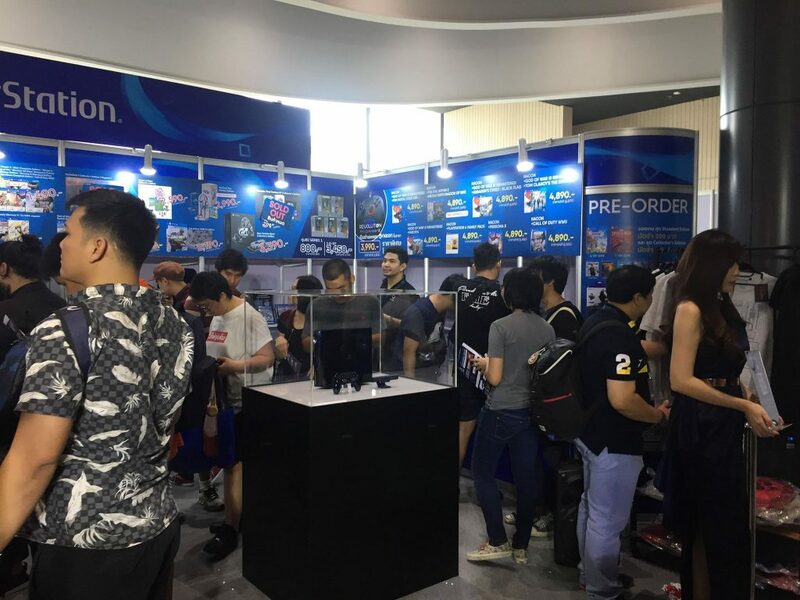 That translucent blue casing of the pro and the glossy controller just looks perfect together but as of this event, it wasn’t for sale… YET! Check out your local retailers when this goes on sale later this month! Fancy anything you see? Honestly with all the merchandise I’m seeing right now my EQ level is failing me yet again! Check back here for the PlayStation Experience as we cover it today and Sunday, August 19, 2018 at the BKK Live House in Thailand. Next articleTeam Ruby out for the kill (and the charity money) at the Globe Conquerors Manila’s Celebrity Showmatch 3!